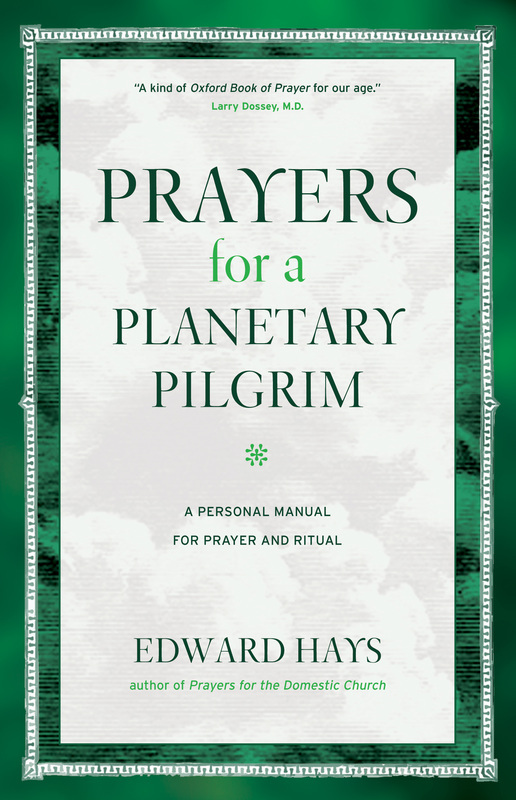 First published in 1989 and now available in a revised and newly designed edition, this bountiful treasury of prayers, rituals, and spiritual guidance from best-selling author and teacher Edward Hays is a celebration of the divine presence that unites all people and faiths of the world. Drawing from his life-long, planetary pilgrimage of spiritual discovery, Hays urges readers out of the narrow mindset of praying for one's personal needs into a way of prayer that is both global and cosmic. Poetic psalms, poignant blessings, and original rituals provide creative prayer experiences for the days of the week, the seasons of the year, and the extraordinary days of life. Discover why spiritual pilgrims of all faiths have found Edward Hays to be a wise and compassionate guide. "A kind of homecoming—to ourselves, the planet, and to God." "The poet W.H. Auden wrote, 'Bless what there is for being.' In a time of tremendous upheaval and violence in religion, we need to find ways to bless and be blessed. So, it is a joy to find a book that celebrates and honors the widest range of human experience as godly and transforming. Religion can appear to be appallingly small-minded and mean-spirited. This book, grounded in the humility of human experience, invites radical amazement in the face of the mystery of being and rescues our vision from the rigidities of fear and prejudice. Prayers for a Planetary Pilgrim is a kind of homecoming—to ourselves, the planet, and to God. and a wealth of expression that we can each use to enliven and deepen our prayers." and therefore is a ringing endorsement of religious tolerance, which our world sorely needs. Wherever you may be on your spiritual path, this book will assist you. "Will pry at the latches of your heart." "Ed Hays’ book presents itself as a manual of prayer, personal and communal, carefully attuned to the pivotal moment of history in which we live—this global threshold. The book is more than that: it is a kind of handbook for becoming fully alive. If, as is likely, God does not need these prayers, we do. We need them, or something like them, to grow on, to feel with, to stretch our mind and imagination into, until we find emerging within ourselves a similar breadth and depth, vision and compassion. There are words in this book that will pry at the latches of your heart, words that will open you to the sunshine, and words that will bring you to the edge of tears."